Watch Mad Men Season 7 Episode 10 online via TV Fanatic. We have many viewing options available for you to do it, so watch Mad Men online now! 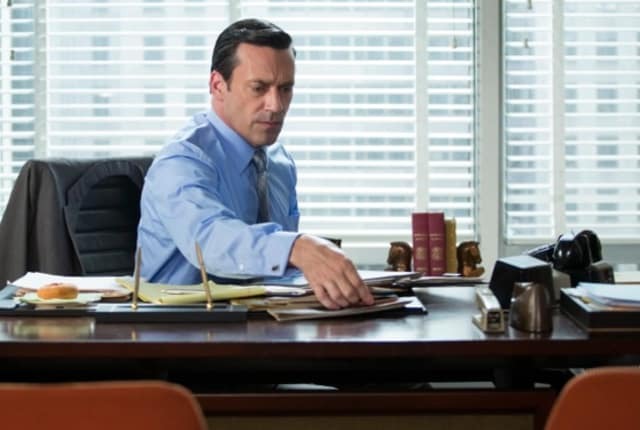 When you watch Mad Men Season 7 Episode 10 online via TV Fanatic, you'll see Don grapple with where the firm should be in a year, and what success means to him and those around him. Old friends come back to visit and those we know find people who may be in their lives to stay for a long time. Things are changing. What does it all mean? Find out when you watch Mad Men online via TV Fanatic. On Mad Men Season 7 Episode 10, Peggy and Pete argue over how to handle an account emergency while Joan goes on a business trip and Roger pawns a project off onto Don.